Since the launch of Bonjoro, this is probably our most impactful feature yet. Customers can now reply on your Bonjoro videos without having to leave your video landing page. Here's a quick video to show you how it works, and why it matters to you. What are the benefits of Bonjoro's new replies system? We've been tracking this feature since soft-launching a couple of week ago, and we've already seen well over a 3:1 ratio in terms of Bonjoro Replies vs. regular email replies. This means that for every recipient that replies to a Bonjoro via the email in their inbox, more than 3 are replying on your videos. This is a MASSIVE deal, because it means that you will get more engagement and more conversations happening with customers, which in turn will lead to way better outcomes dependent on your goals. How do I get started with Bonjoro Replies? You don't need to do anything. 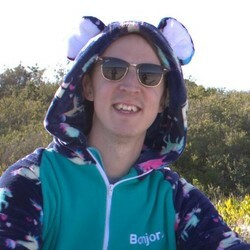 Bonjoro Replies is now live on every Bonjoro you send - when a recipient comments on your Bonjoro, you will get a notification via email, and you'll see the comment right in your Bonjoro results page. We hope you see the results for yourself.